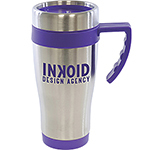 When it comes to promotional products, you have to give people what they want. 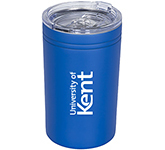 More importantly, you have to give them what they really need and find useful. 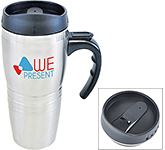 What that essentially means is that you have to include useful items in your promotional products mix. 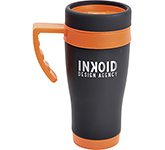 Moreover, it's not enough for branded merchandise to be useful, they have to be versatile, unique and eye-catching. 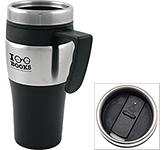 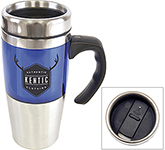 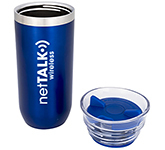 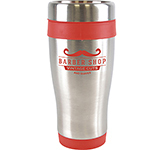 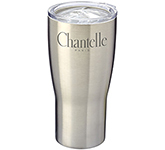 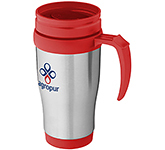 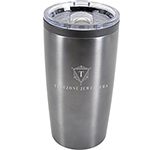 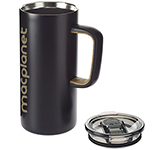 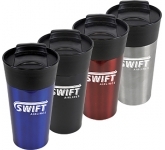 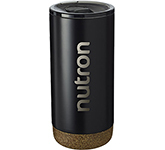 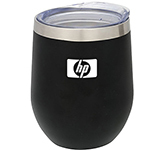 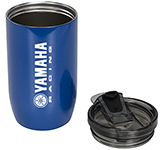 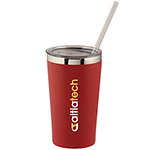 Branded metal travel mugs spark interest and will grab the attention of your target audience. 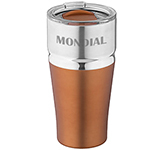 They are very practical, look expensive, but won't break your budget. 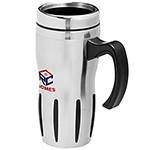 Furthermore, they are elegant and offer ample branding space for your logo. 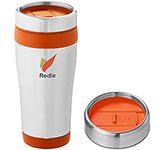 Not to mention, printed travel mugs are perfect for the environment, which makes travel mugs the perfect ethical choice, clearly creating a positive effect on your brand image. 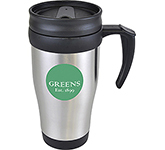 If you show people that you care about global issues and that you're willing to pay a bit extra to protect the environment, they'll appreciate you more. 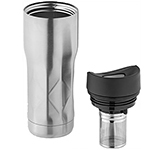 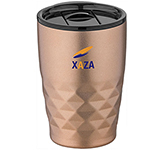 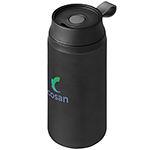 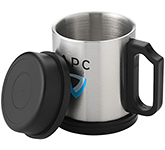 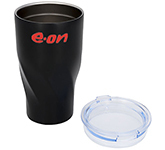 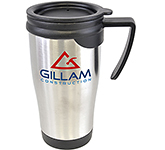 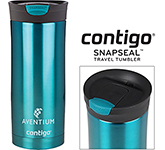 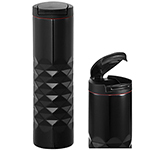 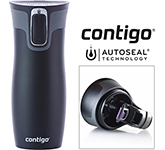 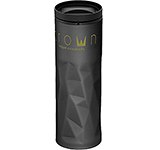 Branded metal travel mugs also offer you a highly cost effective opportunity for continued future advertising and they are used over and over again. 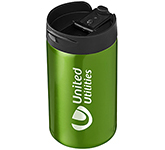 What's more, they are excellent self-promoters, simply hand them out to people and wait for the profit to come your way. 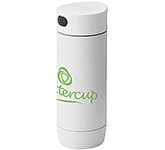 You can turn your potential and current customers into walking advertisements and have them promote your brand on public transport, on the streets, and in offices across the country. 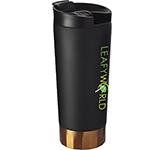 Make good use of the fact that most adults are addicted to coffee and tea. 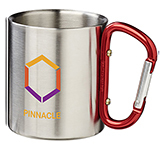 Make their addiction profitable for you! 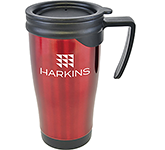 We offer a wide variety of printing options on our vast range of metal travel mugs from screen printing right through to the very latest in UltraHD print technology allowing us to reproduce full colour images and logos to a standard most suppliers can only dream of. 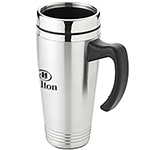 We also offer precision laser engraving on our promotional metal and stainless steel travel mugs creating a truly professional finish which is ideal for special corporate giveaways. 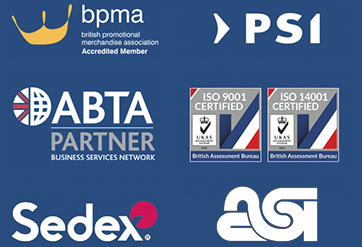 Our team of graphic designers are always on hand to offer expert advice in product selection and to ensure that your logo is reproduced to the highest quality, representing your brand in the very best possible way. 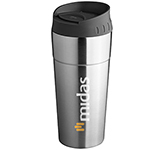 So, if you are looking for the best value promotional travel mugs, and happen to find the same product cheaper, with the same print specification and turnaround, just let us know and we will match the price and back it with our industry Award Winning Customer Service - that's our guarantee!